Hello, my name is Jamie and I live in New Durham NH, which is just a hop, skip and a jump away from the lakes region and Meadowbrook NH Pavillion. I’m a mother of three beautiful children, who I absolutely adore. I’ve been a massage therapist since 2009 and graduated from a 840 hour program at Hesser College in Portsmouth NH. I originally started taking prerequisite classes for nursing but soon decided that healing with alternative medicine would give me greater pleasure. Its not everyday you come across someone who is truly happy with their career of choice. Massage is my passion and it gives me great satisfaction to be able to heal people with the power of touch. I practice a wide range of massage modalities but currently have advanced training in deep tissue massage, swedish massage, hot stone massage(my personal fav) and prenatal massage. I’m currently studying aromatherapy with Dr. Axe and love using essential oils with massage and my everyday life. I’m also trained in reflexology, myofascial release, pin and stretch techniques and spa body treatments. I love what I do and do what I love. I look forward to being a part of the Dr. 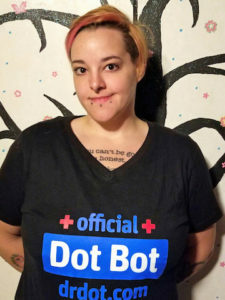 Dot team and soon hope to bring my power of healing to you! I’ve been a licensed massage therapist since 2013. I studied at Cortiva in Scottsdale, AZ. 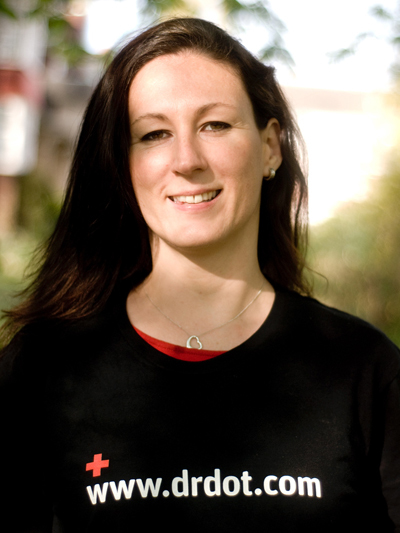 I became a therapist because I want to make the a difference to the people I care about. I specialize in western medical modalities like stretching, trigger, structural, nmt, and therapeutic massages. I also offer Hot Stone massage. My pressure ranges from light to intense deep tissue. With deep being my preferred method. My Name is Alex, I have worked in the healthcare Industry for over 25 years as a chiropractic, massage therapist, physical therapist,reflexologist, music therapist and chromo therapist. I received my doctored in Argentinian from I.D.I.P and E.P.P.A schools. In Paraguay I graduated in natural medicine in Itapúa School. I have my License as a cosmetology and esthetician, Massage therapist in New York, New Jersey and also in Florida as a Facial specialist and body wrapper. My focus is Pain relief and optimizing body motion. I utilize technics from many varied healing philosophies to establish “motion and balance, of body and mind”. Extremity adjusting is one of my specialties, and I have found that most athletes and stage performers benefit especially. I am trained and skilled in skin analysis, facials, Cellulite treatment, eyebrow eyelash tinting, body wraps, salt/sugar scrubs, waxing – full face, full body (high proficiency in brow shaping), makeup artistry and lash extensions. So I love what I do and I’m happy to be part of an integral team that allows me to share this knowledge and experience. Hi, My name is Channon, I am a Licensed therapist from Montreal/Quebec/Canada. I arrived in Montreal as an adult in order to complete a Bachelor’s Degree in Child Education – Special Child Adaptation Program. I then studied and completed another “helping” profession, Massage Therapy. As far back as I can remember I have loved giving and taking care of others. Massage therapy is definitely a field where it is possible to share a sense of caring through therapy! I graduated and received all my massage certificates from Kine-Concept Institute in Montreal, a well renowned massage school in North America. In the last few years, as well as my Swedish Massage Technique I have added: Deep Tissue Massage, Hot Stone Massage, Adapted Massage for Pregnant Women, Adapted Massage for Babies and Children and Chair Massage. I offer both hard pressure massage and/or a fluid and soothing massage that could lead to a state of dream or sleep. Growing up, music was always part of our lives; discovering and learning. I admire stars for pursuing their passions but all the mediatic attention must put a lot of pressure on them, that’s why I would like to offer my services as a massage therapist in order to relieve some of this pressure. 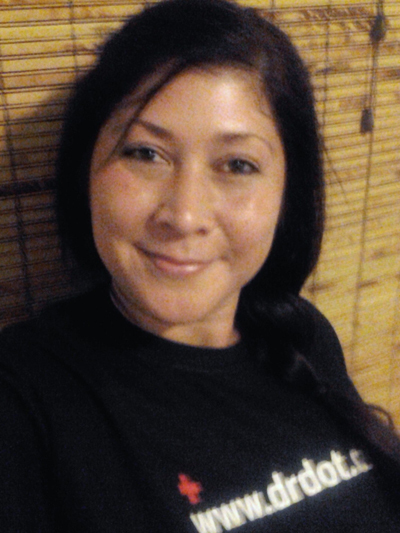 Hello, my name is Angie and I have been a massage therapist for over 14 years. I have been working in the same Rehab Clinic for most of my career. I have a lot of experience dealing with car accident injuries as well as sports injuries. I range from deep tissue massage, hot stone massage, relaxational swedish massage. 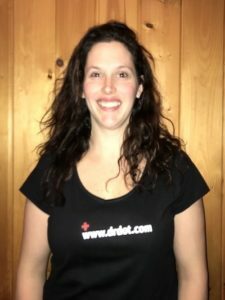 I am certified in myofascial release, joint mobilization techniques, and thermal palms. I also incorporate passive stretching into my sessions. 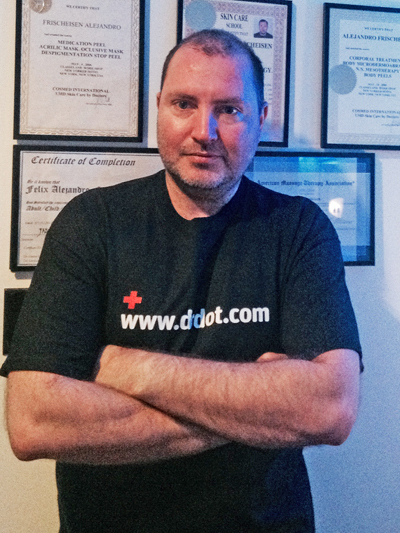 I am very excited to be a part of Dr. Dot’s team and look forward to treating you in Ontario. Bio: I am a licensed massage therapist with 5 years experience in chair massage, Swedish, Deep tissue, Neuromuscular, Trigger Point, hot stone massage, and some Reflexology. My technique incorporates many modalities, including stretching the client and educating the client on ways to improve function and decrease pain in areas of concern. I am constantly teaching my clients to do for themselves so they can empower and increase their own healing process. I am passionate and honest, and always willing to share my knowledge of techniques and methods to improve the massage profession. My clients vary from healthy, able bodied individuals to clients living with injuries or illness. I also have a background in occupational therapy which further advances and expands my knowledge of the human body. Hey, I’m Kacey. I was born and raised on an island called Ketchikan, in Southeast Alaska. It is located near British Columbia. I have always been interested in eastern medicine. 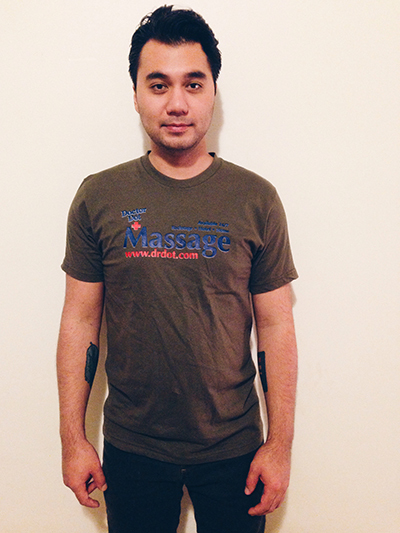 After high school I moved to North Carolina to pursue Massage Therapy. I studied in Raleigh, North Carolina. I have been living in the Fort Bragg/Fayetteville area for four years, and I have been practicing for three years. I love my job. It is important to me that I can do something where I am helping others, and they truly appreciate me for my work. My modalities include: Deep tissue massage, relaxing swedish massage, hot stone massage, reflexology, trigger point, shiatsu, therapeutic massage, and Russian medical massage. I also work on range of motion, and integrate stretching into most of my massages. Many of my clients come to me for relief of their stress and anxiety, and natural pain management. I have a lot of spa experience, and I have been working with the entertainment industry for over a year. I travel for most of my work, and I am willing to travel around North and South Carolina. I currently attend cosmetology school. I aim to make people look better, and feel better about themselves. Next, I would like to become a yoga instructor. When I’m not working and going to school, I love to spend my time with friends and family, I have four brothers back home and a huge family I miss everyday. I love gardening, music, animals, and astrology. I also love art. I enjoy painting and pottery. I will happily do anything outdoors, especially hiking with my loved ones and my bulldog. Relaxing at the beach is my favorite, and I’m always into going camping or fishing. 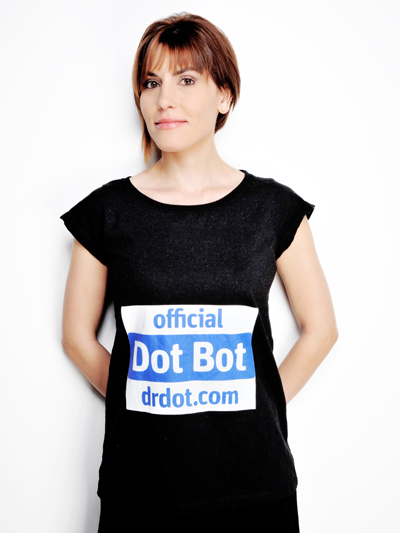 Book me: info@drdot.com and write: “Christelle/London” in subject line. Hello, I’m Christelle and I’m passionate about massage therapy and music and the ability of touch, movement and energy exchange to enable healing. Originally from a background in Herbal and Natural Medicine, this led me towards bodywork as an important part of helping people to heal and achieve optimum health. I combine the most enjoyable and effective elements of Swedish, Holistic and Deep Tissue massage to tailor each treatment to your needs after listening carefully to what you need from the massage. I also work quite intuitively to find knots and release tension and energy blockages, using firm therapeutic pressure as well as incorporating breath and energy work during the session. This enables deep relaxation and relief from tension. I’ve trained in in Anatomy and Physiology, Swedish and Holistic Massage, Aromatherapy, Deep Tissue Massage, Hot Stone massage, Reiki, Ear Acupuncture and Hopi Ear Candling. Other interests and work include dancing the night away with friends, singing and playing guitar, yoga, herbs & nutrition. I’ve been told I have a very calming energy about me which people find helps them to relax and that my massage is both restorative and nurturing with a flowing and rhythmical style. I look forward to massaging you!